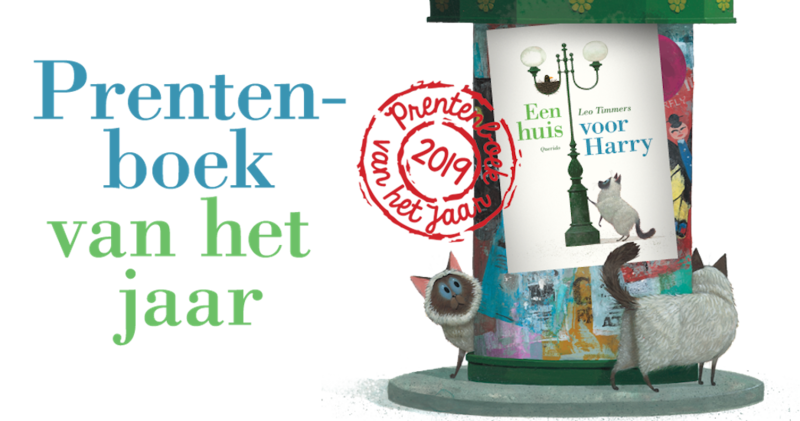 Read Every Day is a national information campaign to promote the importance of parents reading aloud to their children every day. 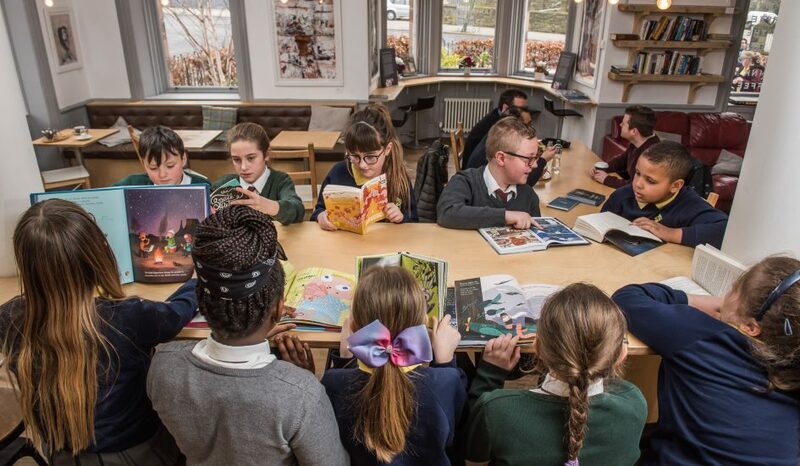 As studies show correlation between reading for pleasure and academic achievement, we aim to inspire parents to read aloud to their children from the earliest age, every day. 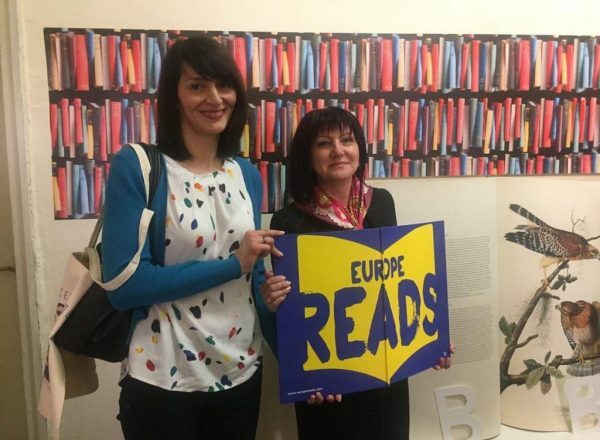 The organizer of Read Every Day is Detski Knigi Foundation in partnership with Bulgarian Library Association, Global Libraries – Bulgaria Foundation and Bulgarian Book Association. 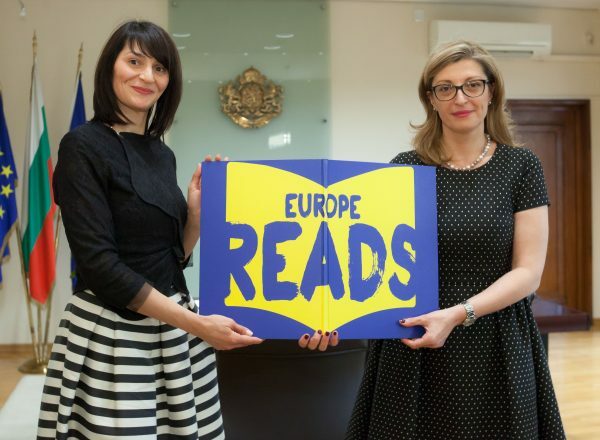 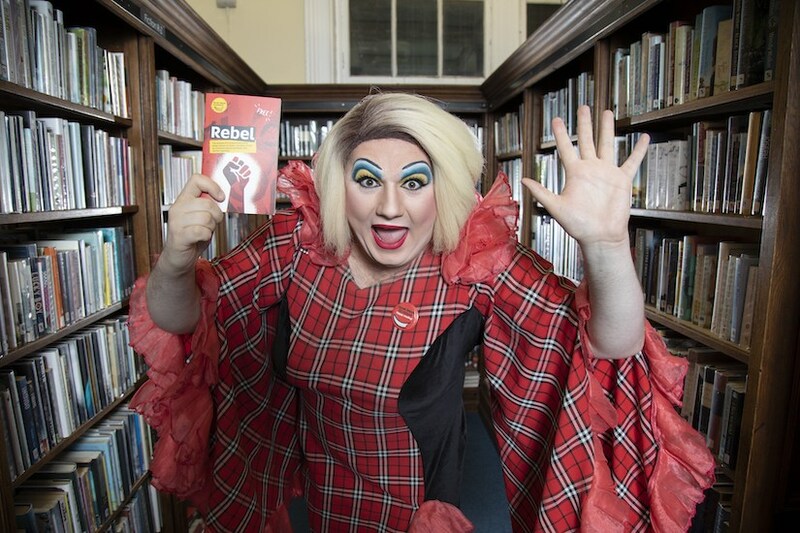 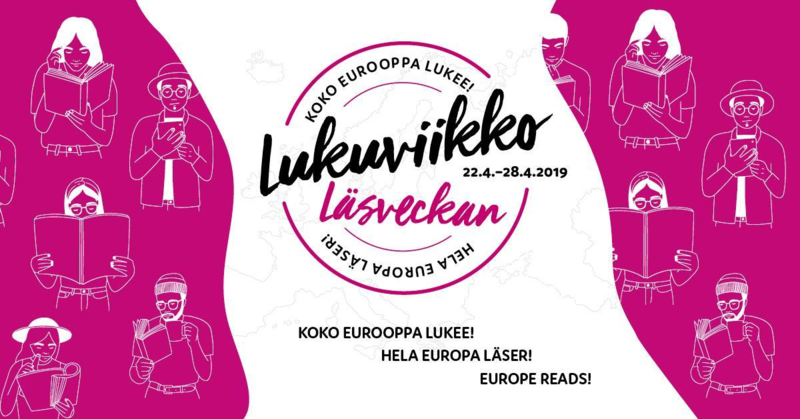 The Read Every Day initiative took place on the 2nd of April 2019 as part of the Europe Reads campaign. 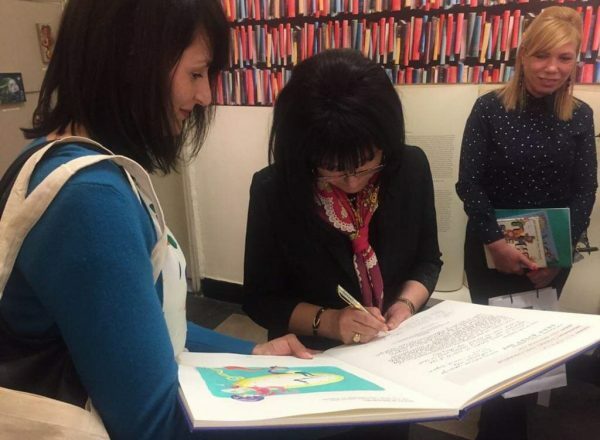 The book was signed by Mrs Ekaterina Zaharieva, Vice Prime Minister and Minister of Foreign Affairs, Mrs. Tsveta Karayancheva, Chairperson of the National Assembly, Mrs. Diana Savateva and Emiliya Milkova – both members of the National Assembly and its Committee on Culture and the Media, Mrs. Amelia Gesheva – Deputy Minister of Culture. 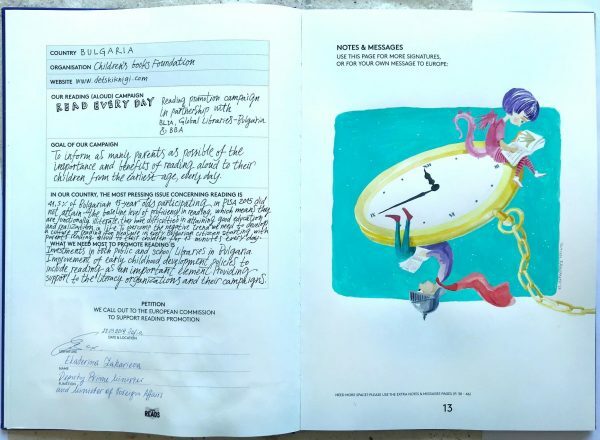 Our partners Bulgarian Library Association, Global Libraries – Bulgaria Foundation and Bulgarian Book Association also wrote their messages in the book. 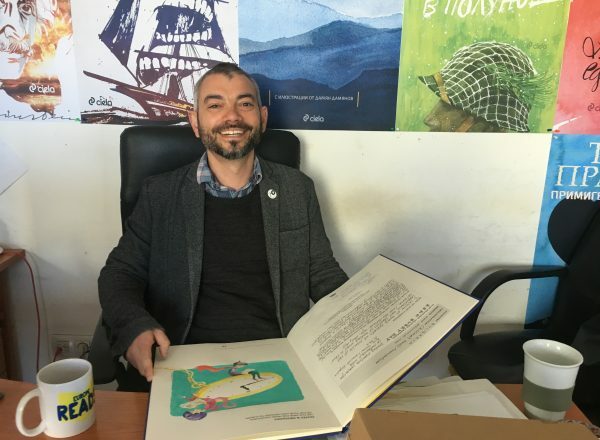 Popular Bulgarian artist and illustrator Damyan Damyanov drew a special illustration. 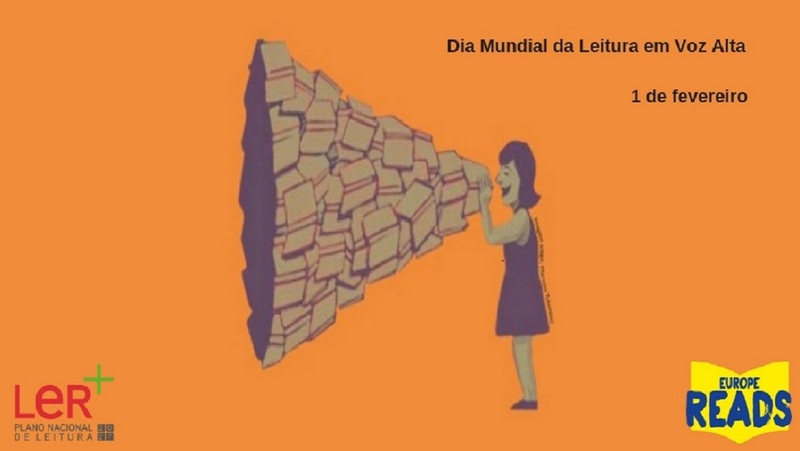 To inform as many parents as possible of the importance and benefits of reading aloud to their children from the earliest age, every day. 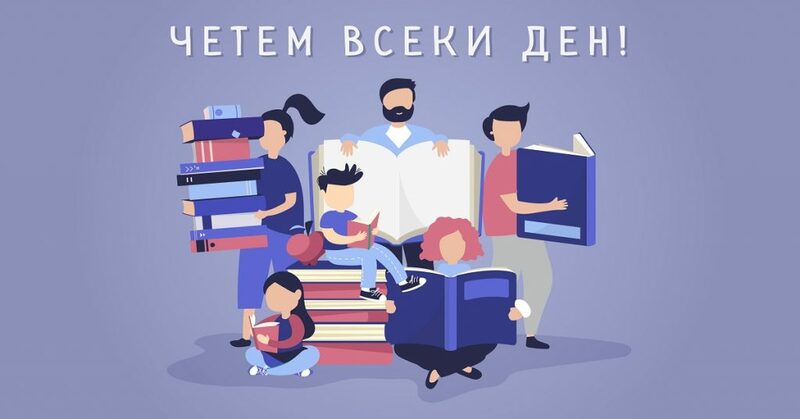 41,5% of Bulgarian 15-year olds participating in PISA 2015 did not attain the baseline level of proficiency in reading, which means they are functionally illiterate, they have difficulties in attaining good education and realization in life. 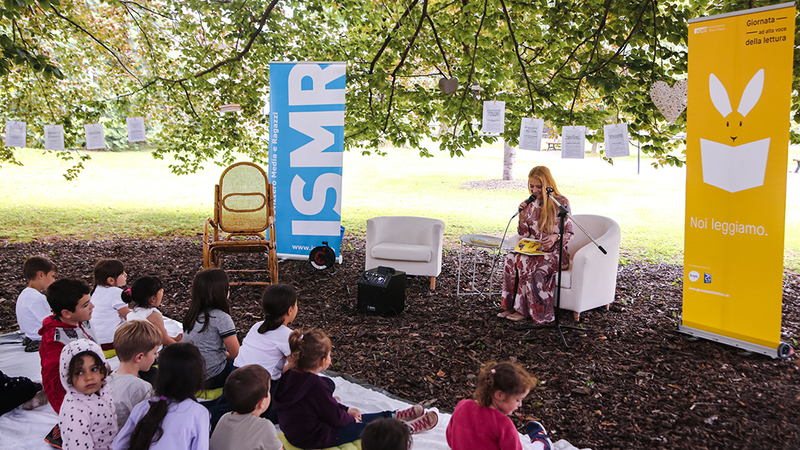 To overcome the negative trend we need to develop a culture of reading for pleasure in every Bulgarian citizen starting with parents reading aloud to their children for 15 minutes every day. 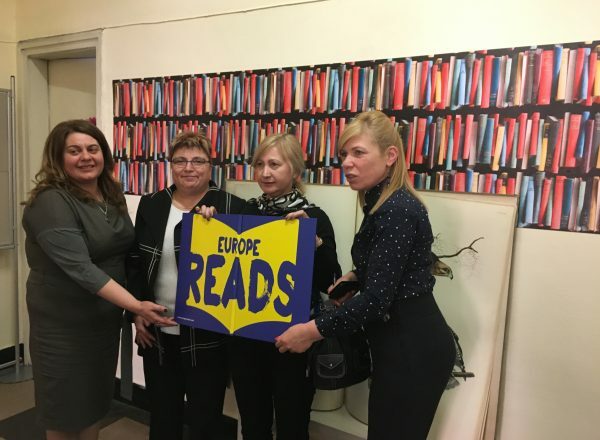 Investments in both public and school libraries in Bulgaria. 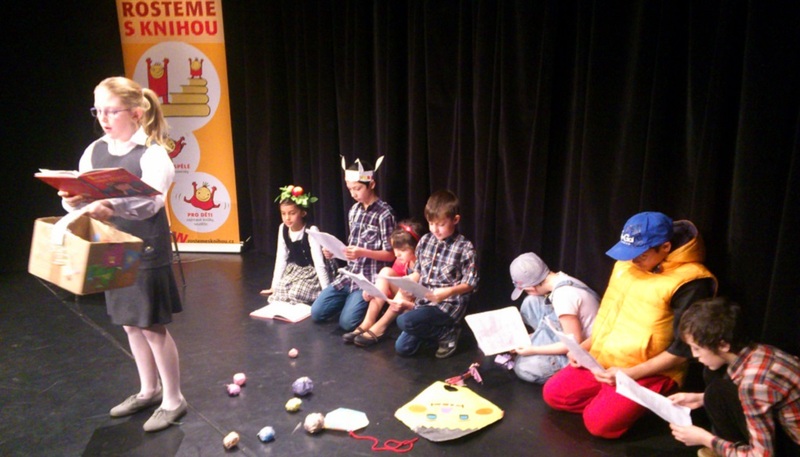 Improvement of early childhood development policies to include reading as an important element. 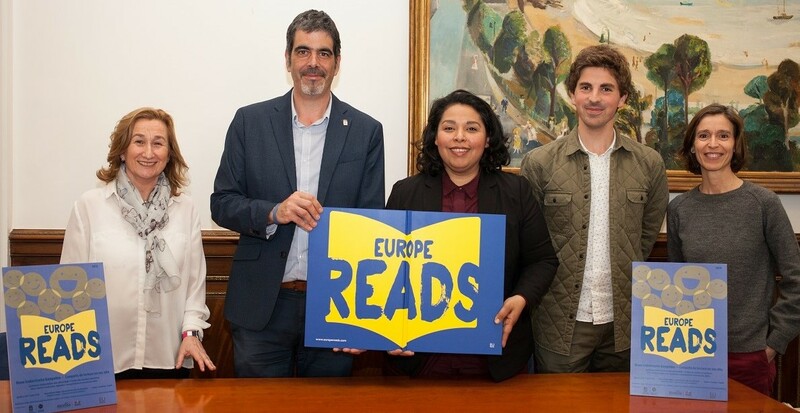 Providing support to the literacy organizations and their campaigns. 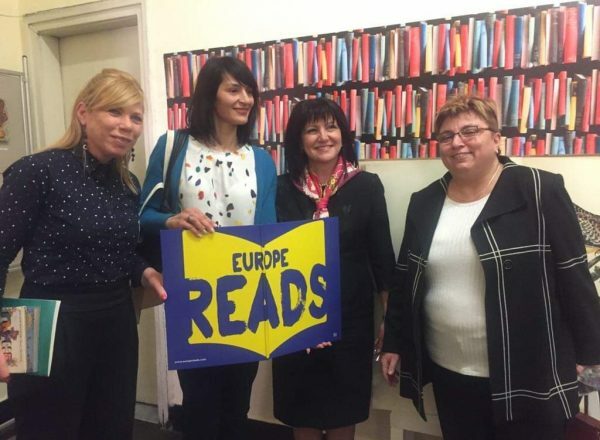 41,5% of Bulgarian 15-year olds participating in PISA 2015 did not attain the baseline level of proficiency in reading. 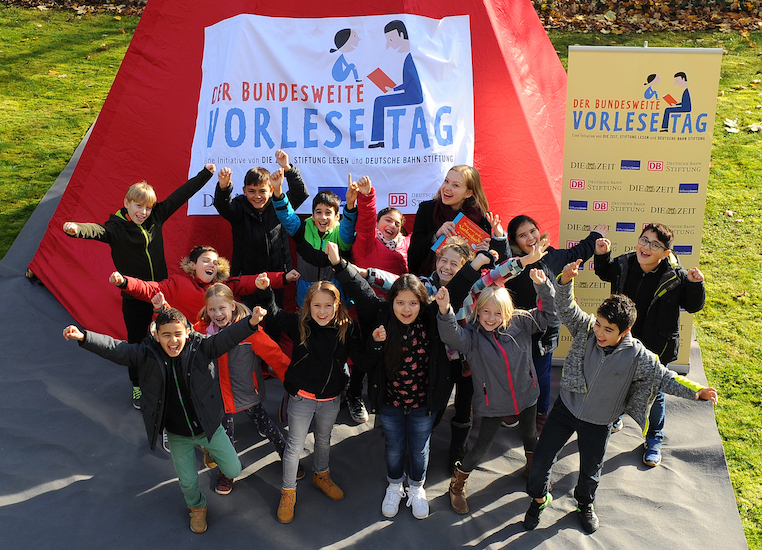 The percentage of Bulgarian students who drop out of school is 12,7% according to Eurostat data for 2017, while the average rate in the EU is 10,6%.